PriceLabs is an innovative and easy to use revenue management solution for short term rental properties. Using the integration with Tokeet, you can define daily rates for your rentals in Tokeet based on PriceLabs data. This feature is available with our Agent Plan and higher. Getting started is easy. In Tokeet, Navigate to Settings > Account Info. 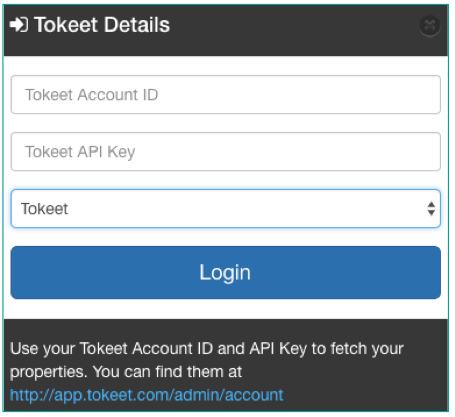 Your Tokeet Account ID will be shown right under the Account Info section header. 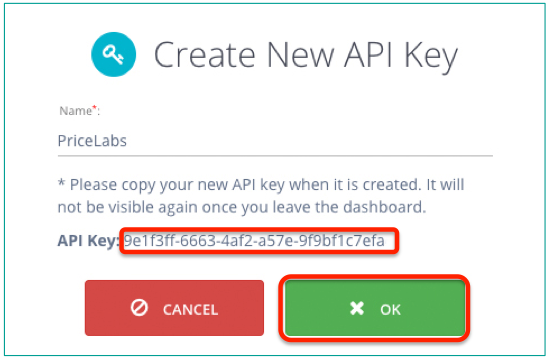 Scroll down to API Keys and click "Create"
Give your Tokeet API Key a name and click "OK"
In PriceLabs, paste both the Tokeet Account ID and API Key, and click "Login"
PriceLabs will import all Rentals under your Tokeet account. That's it! You are ready to start managing your rates in PriceLabs and push them to Tokeet. For detailed instructions on using PriceLabs, please see the Getting Started with PriceLabs guide. PriceLabs integration is not compatible with Tokeet Websites at this time. Your Tokeet Website will display Base rates for rentals utilizing PriceLabs rates. You are still responsible for pushing rates to the API Channels; this process will not happen automatically. Please see this Help Center article for more info on pushing rates.